An earlier study in the American Journal of Orthopaedics found that 41 percent of patients with fractures and dislocations had alcohol in their blood and 30 percent were legally drunk. In emergency cases involving severe injuries or multiple traumas, orthopaedic surgery can boost the inflammatory response. One of the factors surgeons consider when determining the best time to perform surgery is the inflammatory response — if the response is too great, the surgery can be delayed. A measure of the inflammatory response is chemical markers in the blood, such as interleukin-6 (Il-6). Binge alcohol exposure had a contradictory effect on the immune system of the rats with broken legs. When researchers looked at chemical markers in the blood, it appeared that alcohol suppressed the inflammatory response. But when researchers looked in the lungs, they found the opposite effect — alcohol boosted the inflammatory response. 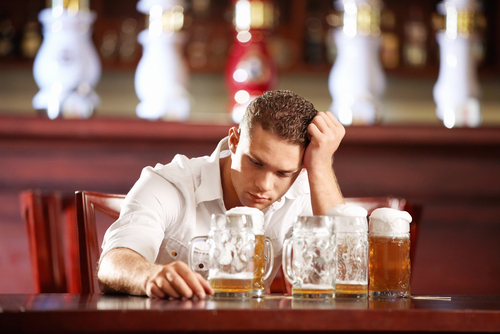 The study was supported in part by the National Institute on Alcohol Abuse and Alcoholism. It is among the studies conducted by Loyola’s Alcohol Research Program, which includes about 50 faculty members, technicians, postdoctoral fellows and students. The program, funded by grants from the National Institutes of Health and other sources, centres on research, education and prevention.